« How do we test and evaluate our valves [tubes] ?? Authorised Service Centre for CARR Amplifiers. We are pleased to advise that as of December 2007 we have been appointed as the factory-authorised service agent in Australia for Carr Amplifiers of North Carolina, USA. 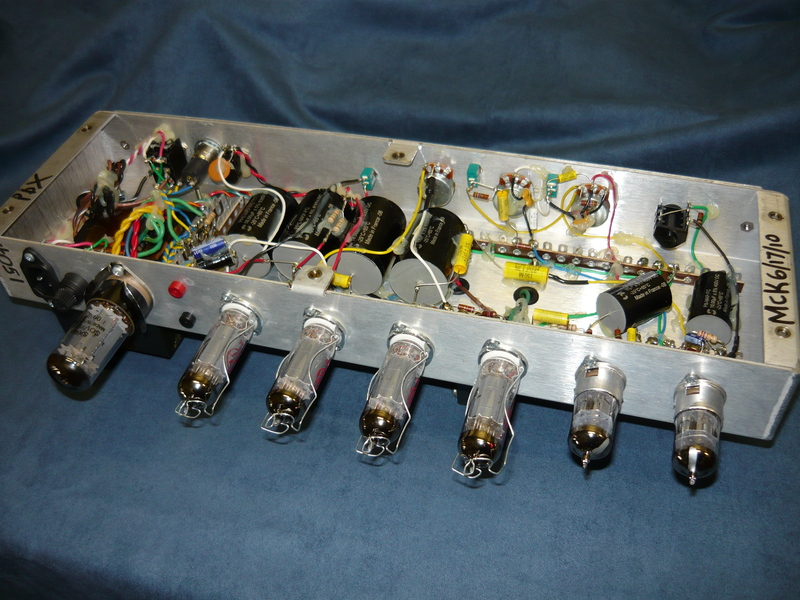 Carr amps display a unique and highly individual approach to guitar amplification, and are completely valve (tube) in design (some models do have a solid-state rectifier), and are completely hand-wired. 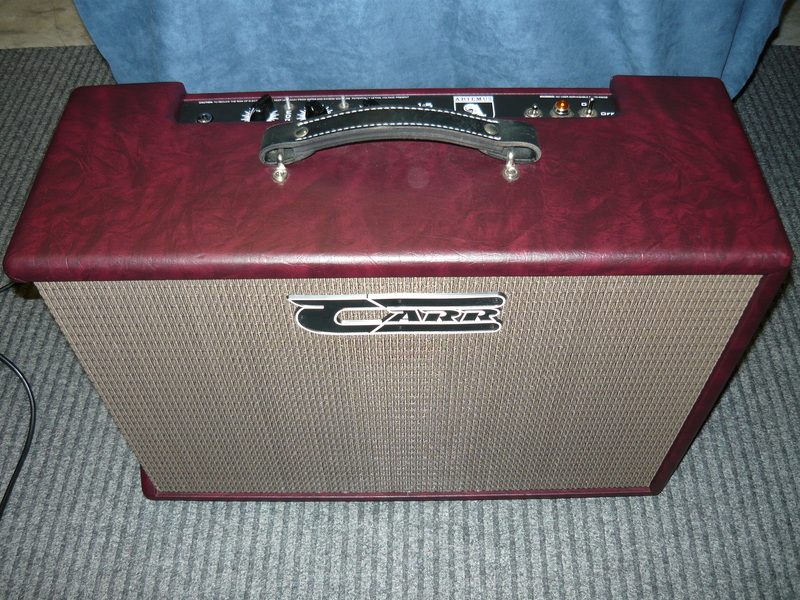 The most popular Carr models have been, and probably always will be, their hot-rodded Princeton-Reverb style amps, however some of their other models defy the usual trends and offer something quite different in both style and tonality. Pictured here is the subject of a recent repair, the Carr Artemus. This is a 30 watt output, class AB/fixed-bias, 4 x EL84 design with an unusual front-end design. This amp would obviously have a fairly specialised appeal, and is quite different to the many AC30-influenced amp designs on the market. Cosmetically, the amp has an attractive art-deco style cabinet which has been faultlessly presented. hello Ivan: Great to have you on the case ! You certainly come well recommended and it’s wonderful to have people like yourself work on our amps – Steve Carr. If you have any service enquiries and/or service issues, please contact us via email address info@ivanrichards.com for world-class service and support, including full backup as required from Carr amps, USA. Our workshop is located in Wyoming (Gosford), New South Wales, just north of Sydney. Alternatively, you can make arrangements via Bondi Intermusic of Oxford Street, Bondi Junction (Sydney). Mobile number for urgent enquiries is 0418 862 034 (within Australia), and 61 418 862 034 (international). Note:- for those of you out there that may have a Carr amp purchased direct from the USA and therefore operating on 120V AC via a stepdown transformer, we can offer a permanent solution by installing a 240V power transformer supplied by Carr amps via their Australian distributor, Bondi Intermusic. Please enquire as per the preceding paragraph. 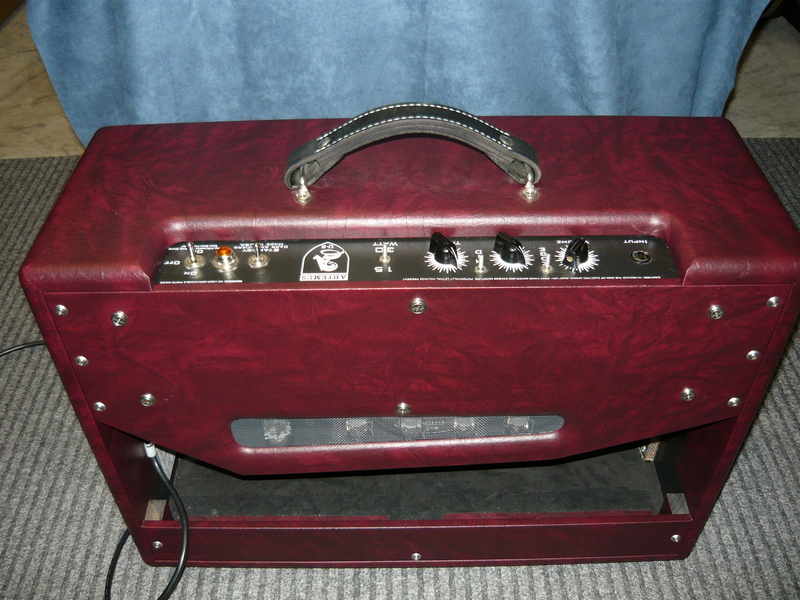 This entry was posted on June 18, 2011 at 10:53 am and is filed under Amp Repair, Amps. You can follow any responses to this entry through the RSS 2.0 feed. You can leave a response, or trackback from your own site.